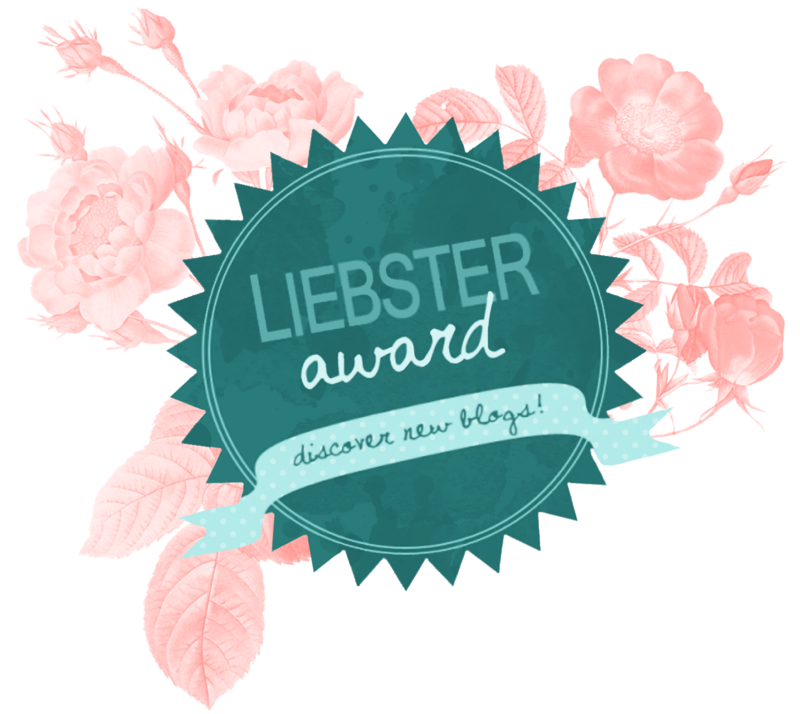 A tremendous thank you goes to The Life of a Bookworm for nominating me for the Liebster Award. I’m so excited! I’m going off of the rules she has posted, though it’s my understanding that this award (think of it like an email chain, sort of) has morphed as it is passed on, and there are a lot of variations on these rules. How long does it take you to finish a great book? Depends on how much I have going on in my life with school and whatnot, but if the book is truly amazing, I’ll find the time to finish it in a day (or two). What do you think makes a wonderful book? I fall in love with characters. I want them to be real and relatable and make me think about my own life, whether I’m thinking about the people I love or the people I hate. What is your favorite book series and why? The Queen’s Thief series by Megan Whalen Turner, because holy bleep–so much work went into this series. The characterization and plot development are so well done and crazily intricate. Every time I reread them (and I’ve reread the third book at least a dozen times) I find something new hidden in the pages, and I love it. How did you come to love reading? I’ve just always read. I don’t remember a time when I didn’t have my nose in a book. In elementary school, I read a few books a week and, yes, I was the brunt of some jokes for my habit of pulling a new book out of my backpack every day, but it was worth it. I love how reading is both an escape from your life, and forces you to examine your life closer than you ever have before, through the lens of another. What inspired you to create your book blog? To be honest? My twin sister started a sewing blog, and I wanted in on the action. I don’t sew, but I read and write, so as soon as I came up with a catchy domain name, I created 52 Letters in the Alphabet. What is your least favorite book and why? Oooh, tough one. We Were Liars frustrates me because there was so much hype surrounding it, and then it was just horrible (in my opinion). Then again, I’ve hated a lot of books that I’ve read in English class, from a combination of antiquated writing styles and the tedium of textual analysis (though I can enjoy that, if I’m in the right mood). It might be a tie between The Pearl by John Steinbeck and Metamorphosis by Franz Kafka. Favorite childhood book? The Best Book of Mummies. It’s nonfiction, so not really the usual childhood book, but I was a weird kid. I spent my entire elementary school career OBSESSED with ancient Egypt. This was one of the first books I ever received about Egypt, and it is the first book I have a memory of “reading” (though I’d really just memorized the words on the first pages). Where do you love to read? I have this awesome chair in my living room that I can literally curl up in. I basically lived in it this summer. Do you read one book at a time or several? One book that I chose at a time, plus whatever I’m reading in English class. Do you like to keep your books clean or are they destroyed by the time you’ve finished reading it? I don’t think I destroy books, but I don’t really try to keep them in pristine condition. I will break a lot of bindings, and there will be microwave-popcorn-butter fingerprints on a lot of my books. However, I always read hardcover books without their dust jackets, A) because I hate holding dust jackets, and B) because I want to keep the dust jacket in good condition for when I put the book on my book shelf. 1. Can you read in loud places or only when it is quiet? 2. Do you prefer to read stand alone books or series? 4. Do you organize your bookshelves in any particular way? 5. What fictional character would you date? 6. What is book that has made you angry (for any reason)? 7. What genre do you never read? 8. What is the best book you’ve read this year? 9. Do you prefer paperbacks, hardcovers, or e-books? 10. What is one book you wish everyone would read? 11. What book has influenced your life the most? I knew I would enjoy this book. But I didn’t expect to love it this much. This book takes every trope of ChickLit and does it in a slightly better way. The romance developed perfectly, without too much over-the-top drama, while still being emotionally moving. Both Anna and St. Clair are great characters. Neither of them felt cliche or overdone. They were realistic and lovable and I was shipping the pair within the first chapter. I loved Anna’s voice and felt that it worked well within the dynamic of the story. The secondary characters were well-written also. The group of friends Anna gets involved with felt real, with the inevitable drama and awkwardness of friendships put through the ringer of high school life. Each of the secondary characters got their own subplots without overpowering the rest of the story. 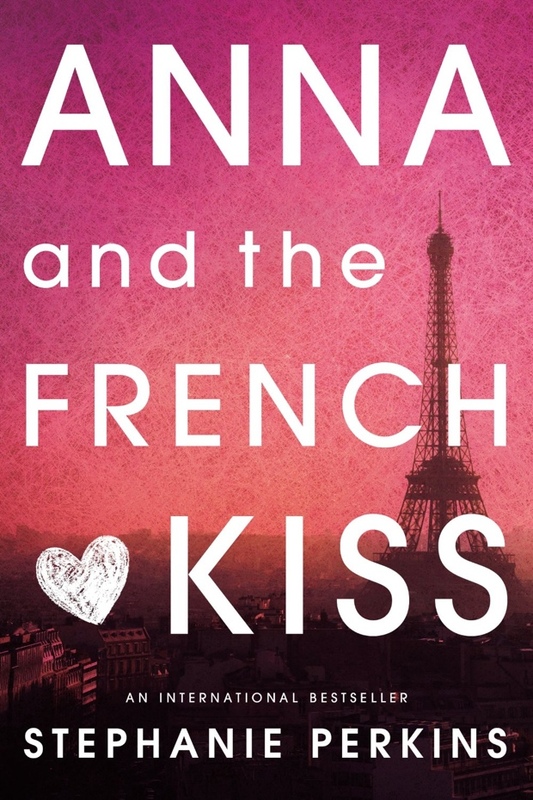 Unlike many books that try to do this, Perkins was able to balance the friends’ conflicts with the more important issues in Anna’s life. The pacing of this book was great. The story of Anna and St. Clair falling in love felt natural and inevitable , vastly different from what I’ve come to assume of YA contemporary romance. The book made me laugh out loud and (almost) made me cry. Every subplot wove together to enhance the main plot without being cheesy or overly THIS IS THE THEME OF THE BOOK. Where most books would have been hyper-dramatic and overdone, Perkins knew that subtle conflicts can be even more captivating. Even the plot points I saw coming surprised me with the slight twist Perkins put on them. There isn’t much more I can say about this book without spoiling it. All I’ll say is that anyone who enjoys ChickLit, or who just wants to read a book that will put a smile on their face, should pick up this book as soon as possible and READ IT. I could go on and on about this book, but it’s Friday and I am brain dead, so I’ll end this review here. I can’t wait to read books two and three! This story is for Chuck Wendig’s weekly Flash Fiction Challenge, Let Fate Choose Your Title. I wrote this story really fast (homework is getting really old, guys) so I know some of the wording is a bit awkward, but I think I like it overall. God took six days to create the world. They say he only rested for one day, but I think he must have fallen asleep on the job after that, because one day he woke up and he looked down upon his earth and he hated it enough to destroy it. We didn’t see it coming. Not until the skies burned and crumbled in on themselves. We all burned. Most of us burned in hell. I didn’t. My burns were healed and I got a new life in heaven. It was the first eschaton. The first end of the world. A select few survived in heaven—He called them pure, but we call ourselves lucky, for the fact that we hadn’t gotten around to being greedy or selfish or lustful before the world crashed down around our heads wasn’t much of a consolation when our friends were dead and sin sounded like a damn good alternative to thinking about that. Time in heaven was a curse, never passing the way it should, never tangible; there were no clocks. I was not as young as I was when I died, but I had not grown enough to be the man I had planned to become. And yet I knew that I had been here in this new world for eons, long enough that the glimmer of heaven dimmed and the taunts of earth trickled back into the shadows and the corners. God looked down again and hated what he saw enough to destroy his heaven. My friends, my brethren, were shoved out of heaven. I listened to their screams as they fell and wondered if hell really existed, or if they just landed on the burnt scraps of our forgotten earth and got to start over, knowing God had moved on to higher and mightier dissections. 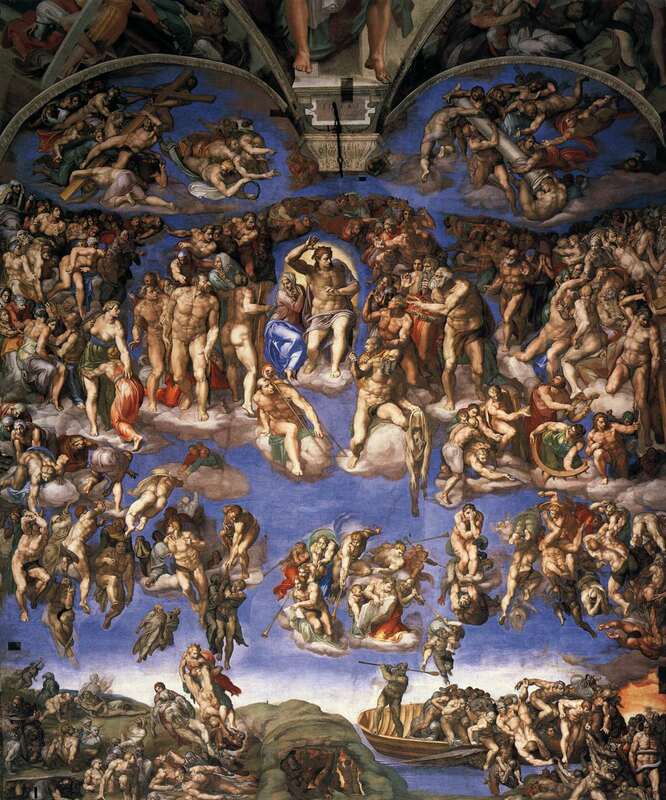 That was the second eschaton. Our second heaven was trickier. God had learned that even the purest aren’t pure, and he wanted proof of our sin. Every move was watched. Every day was a test to see if you were worthy—and in how many days God would once again throw down his lightning bolts and “fix” his world. We saw the third eschaton and the fourth eschaton coming. Every consecutive heaven was slicker, crueler, a world built of egg shells, with houses built from cards. Somehow, I survived. Somehow I am one of the few—and by few, we are still countless—that persist. Why His obsession with perfection? These days, I prod at the boundaries, my temptation to sin overpowered second to my exhaustion from playing this game. Isn’t this Greed—to whittle away at His creations, searching for perfection? The skies are darker than they were yesterday. I share a glance with Sophie and we both know what it means. The end has been nigh too many times by now for me to care. I walk down the street, not with her, but beside her. We don’t talk. I am going to the grocery store, she is going to the bakery. We have our excuses wrapped around us as armor. We are strangers, a coincidence, nothing more, move along. But we share smiles when we see Grandpa Brett, the knobby old man who barks at foot traffic in broken bible verses, on his corner, and when we glance down the alley the Ham brothers use to collect broken bits of heaven. If God asks, they are artists, but for us they are our preachers, gathering evidence that this isn’t paradise. This is just another broken earth. We turn a corner and slow our steps. Our destinations are on this street, but we aren’t willing to part yet. Not with a dark sky and the clench of foreboding in our stomachs. Days from now, how will the world end? In fire? With lightning? In the pitch black? With the earth shattering beneath us or the sky raining down from above us? She bites her lip and turns away from me to read the bookstore sign. I watch her hair flutter around her face, and I don’t understand why it is fascinating. I turn away and watch Mrs. Tild putter around the coffee shop, her graying hair contained in a severe bun at the base of her skull, organizing my thoughts. I’m so tired of avoiding life in order to pass some tyrant’s test. I’m ready for the experiment to be over, and if I am a data point on the side of failure than at least I have found my place. “You know, we’ve been using the wrong word all this time,” she says. I jump. “What?” I ask. She’s been to the library we all pretend God doesn’t know about. Maybe he really doesn’t, if she’s found information like this. I nod, afraid yet eager to hear what she will say. “Yes,” I say. It’s not enough, but I’ve never been good with words. The ground trembles, like my words dropped out of my mouth and hit the earth with enough force to rock the street. There is fear in her eyes. Understanding the end of the world does not make it less frightening. The sky shivers, and the sun goes out. My hand jerks out instinctively, but I’m surprised when hers finds mine as well. I grip it tightly. Our palms are sweaty. I feel her heartbeat race where our wrists are pressed together. The ground around us drops, and an ominous red glow oozes up from below. I glance over the edge, and there is no ground, no earth, no heavens from before. “I’m afraid of heights,” I say, stepping back from the precipice. A futile gesture, when this entire world will be gone in minutes. The ground jerks below us, and I know I’m playing Russian Roulette with a fully loaded gun. I’ve run out of luck. This time, I will not pass the test. The ground vanishes, and for one millisecond, we are suspended in the air, together, immortal. I love Susan Vaught. Before Insanity, I’d read three of her contemporary novels, and they were all amazing. Going Underground remains one of the most powerful stories I’ve ever read. She’s a therapist in real life, and her stories capture the raw humanity her job exposes her to. However–this is her first paranormal novel (as far as I know). And it shows. It felt like a debut novel, with the quirks and not-quites I would expect from a much less experienced author. Never, Kentucky is not your average scenic small town. It is a crossways, a place where the dead and the living can find no peace. Not that Forest, an 18-year-old foster kid who works the graveyard shift at Lincoln Hospital, knew this when she applied for the job. Lincoln is a huge state mental institution, a good place for Forest to make some money to pay for college. 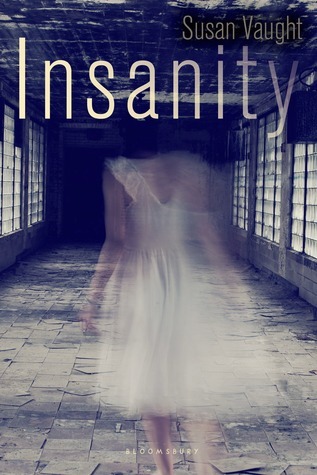 But along with hundreds of very unstable patients, it also has underground tunnels, bell towers that ring unexpectedly, and a closet that holds more than just donated clothing….When the dead husband of one of Forest’s patients makes an appearance late one night, seemingly accompanied by an agent of the Devil, Forest loses all sense of reality and all sense of time. Terrified, she knows she has a part to play, and when she does so, she finds a heritage that she never expected. I loved the beginning of this book. Forest, who I thought was the main character (and kinda is), is lovable and relatable. She was the perfect mix of strong, righteous, and freaked the hell out when everything started going insane. She meets the Love Interest (Levi), and he’s perfectly dark, creepy, and hot in the paranormal fashion. And then, a quarter of the way through the book, she isn’t the main character anymore. Part two is told from a different POV, someone you haven’t even met in part one. Time has passed, the conflict of part one has basically vanished. It was disorienting and off-putting. From then on, I had trouble telling what was going on–especially as the paranormal elements got weirder and weirder and it stopped being clear what was metaphorical and what was literally happening. Part three is another POV. Part four is a fourth. By that time, I was annoyed. I felt like we never spent enough time with any character to get them to feel real (something I associate with Susan Vaught’s books). The romance was Instalove. We never saw Forest and Levi fall in love, it just happened, so I never understood the basis of their relationship. As the cast of characters grew, the dynamic between the characters became less and less realistic, with people forgiving each other and working together when it made sense for grudges to be held, and held firmly. Each part of the book had its own conflict, which could have been an interesting effect, if Susan Vaught had been able to pull it off. However, though parts one and four were compelling, parts two and three were confusing and borderline annoying. I finished the book grudgingly, and only out of a hatred of giving up on books and a faith in Susan Vaught. This review reads very negatively. However, I want it to be clear that this book isn’t horrible. It feels like a debut novel for an author still trying to figure out how to build a story without leaning on the tropes of their genre. I love Susan Vaught as a writer and I expected so much from this book, that as soon as I realized it wasn’t up to her usual standards, I was let down, and then judged the book more harshly. I’d recommend this book to anyone who likes paranormal or wants a scare (parts of this book are seriously scary). I’d also like to give a shout-out to Susan Vaught’s other books, because they really are worth reading.